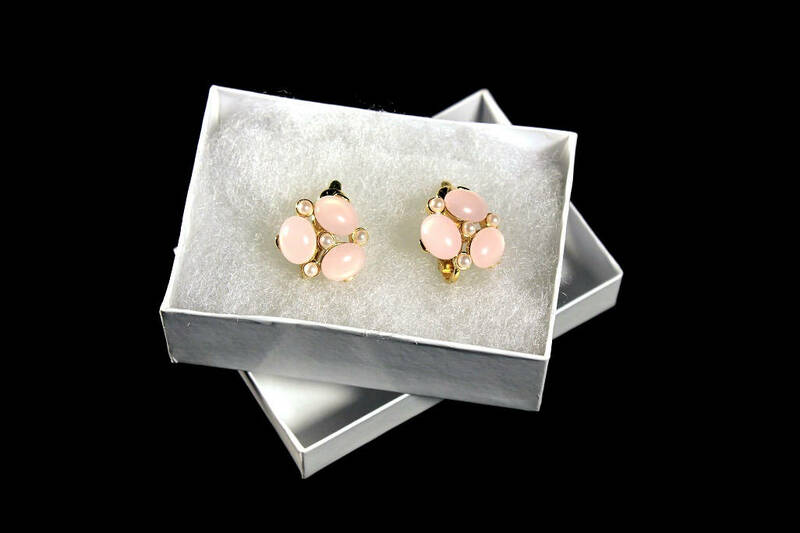 These are a pair of gorgeous clip-on earrings by Trifari. 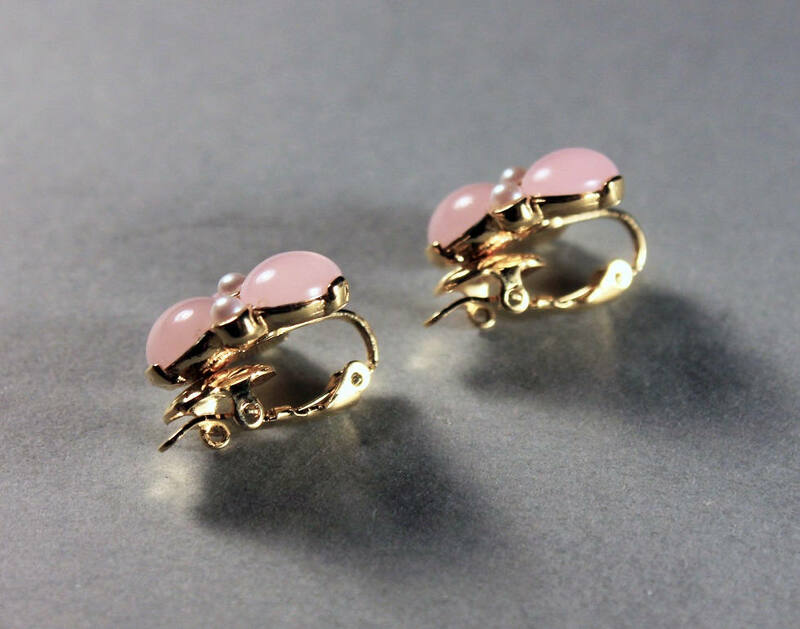 They are both signed on the clip and on the earring itself. 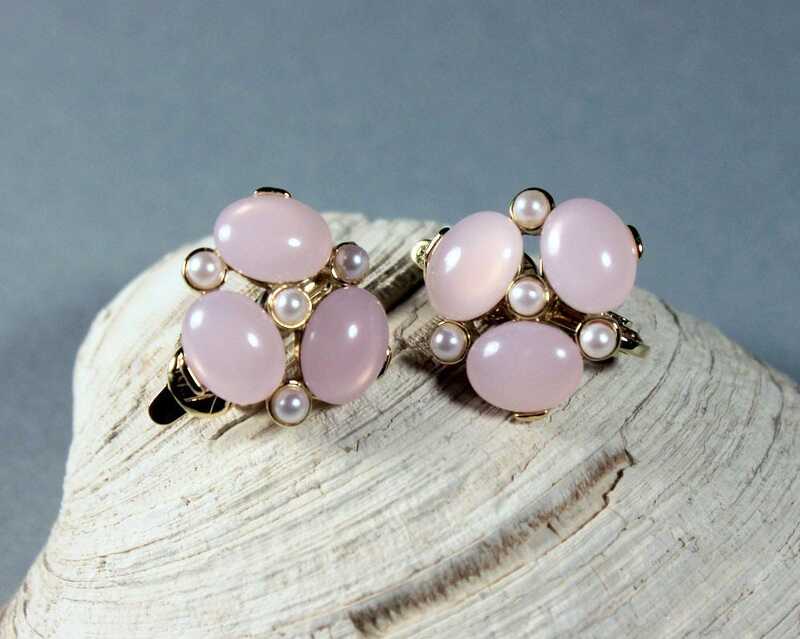 Each earring has 3 pink cabochon stones and 4 tiny faux pearls. 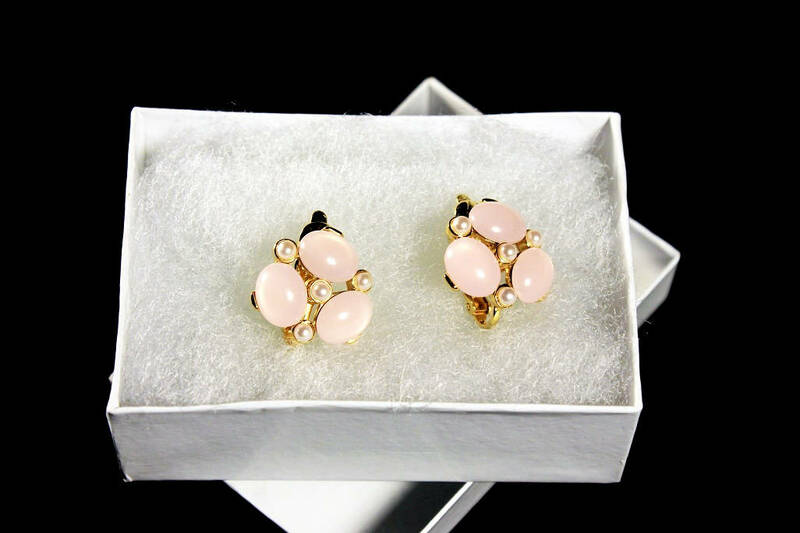 The earrings are gold tone. The TRIFARI mark on a raised rectangular cartouche with the trademark (TM) symbol are limited edition pieces (production usually limited to 350 to 500 pieces) that were sold on QVC during the late 1980s to early 1990s. Many of these pieces were reproductions of some of Trifari's popular mid-century brooches. 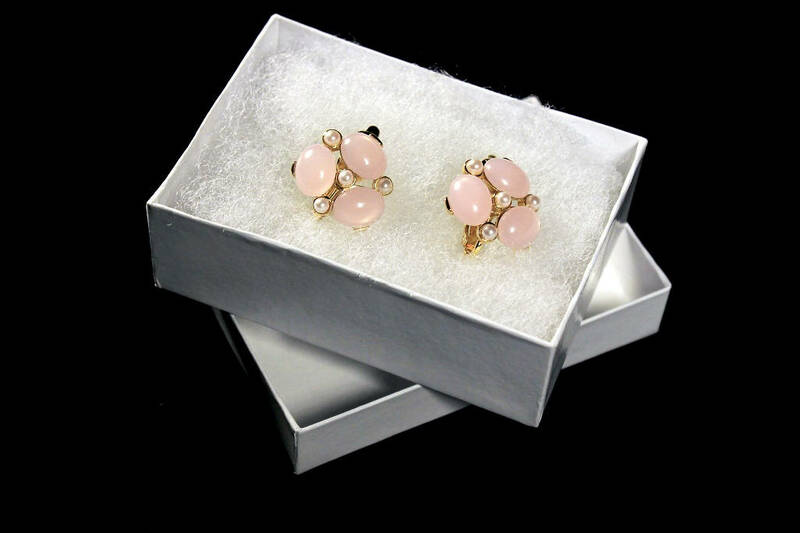 These are the last of the signed Trifari pieces and are high quality with beautiful designs. These are highly collectible. 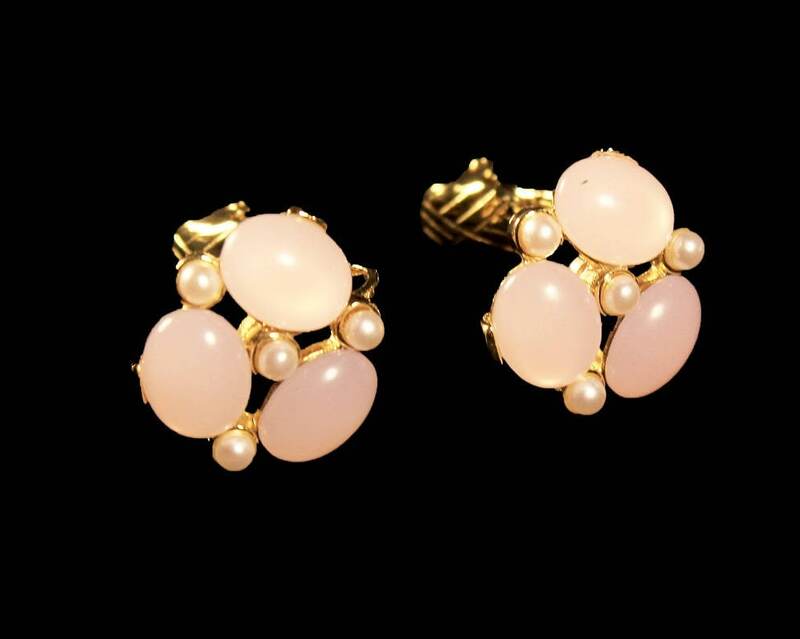 Since the 1920s, Trifari has been one of the most respected producers of costume jewelry in the United States. 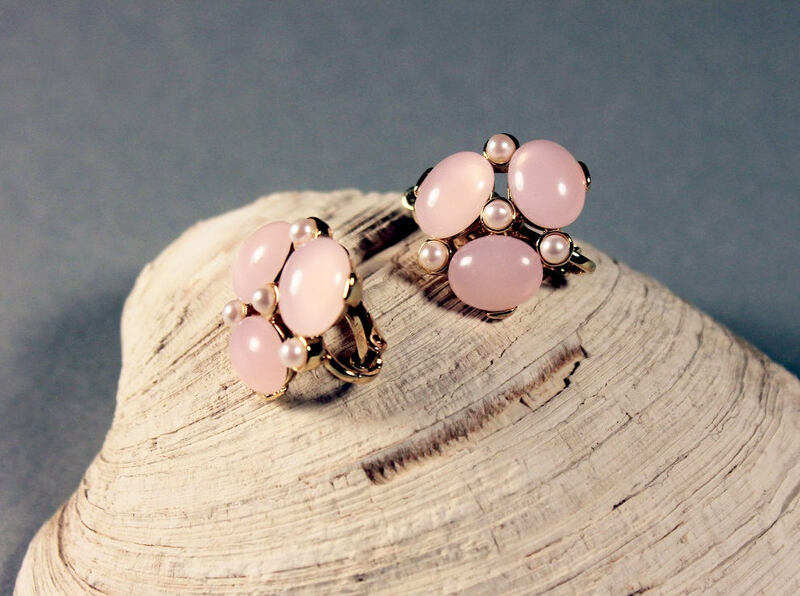 Founded in the 1910s by Gustavo Trifari the company has designed jewelry that’s been worn by countless high-profile clients from Mamie Eisenhower to Madonna. The main reason for its collectibility today is due to their French designer Alfred Philippe. 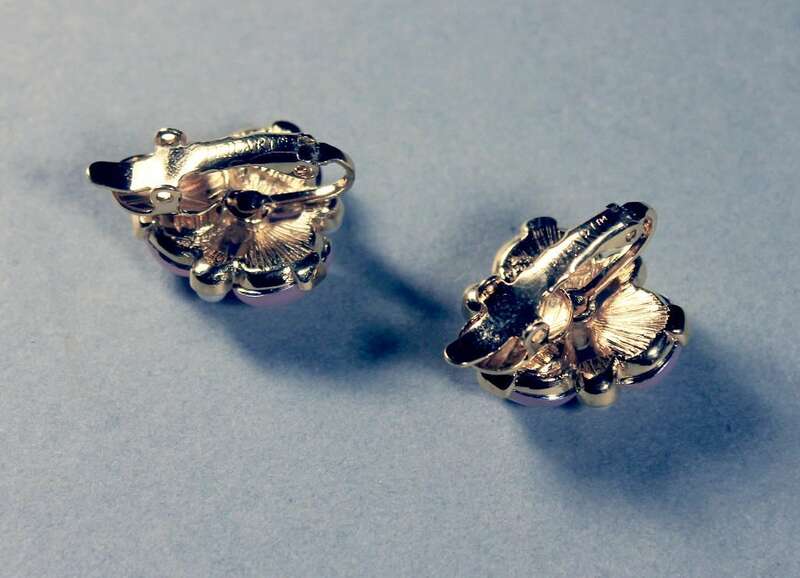 He was the company’s chief designer from 1930 until 1968 and added a level of craftsmanship and technique that had not been previously seen in costume jewelry. These are in excellent condition. 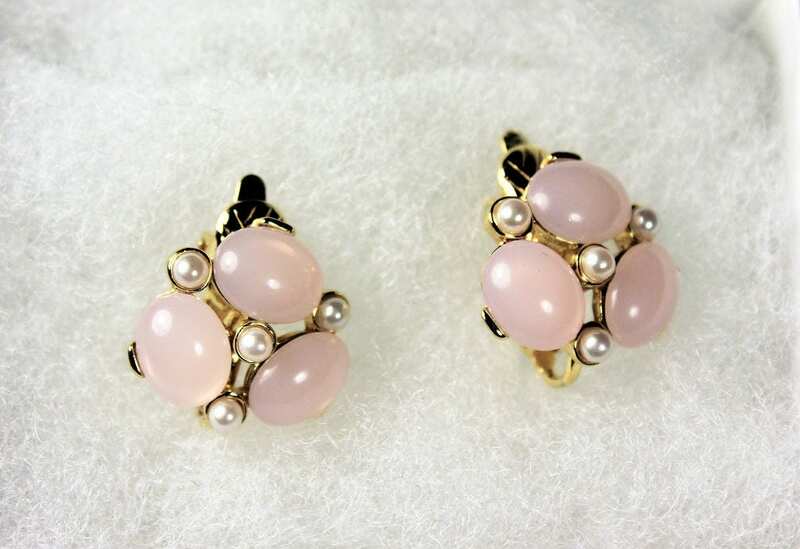 The gold is shiny and bright and the pink cabochons and faux pearls A really lovely set.